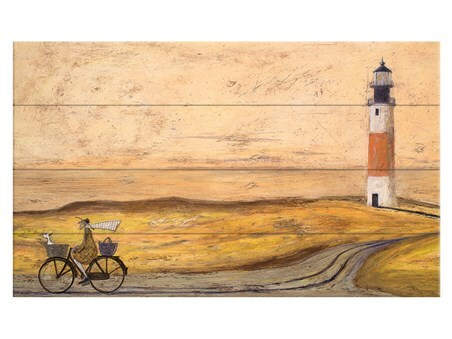 Whistling along the prom prom prom on his rickety bicycle, Mr Mustard is having a spontaneous day visiting friends! 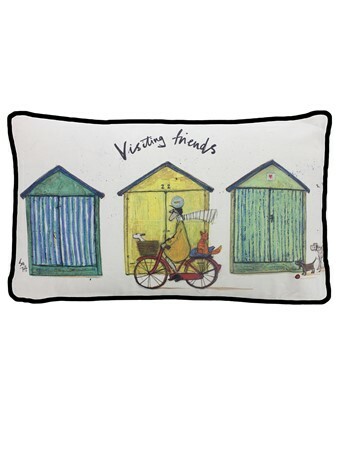 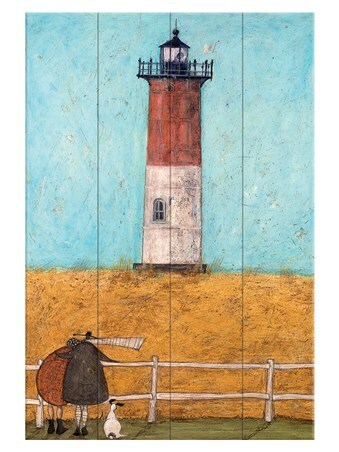 Still capture the sea spray and whipping wind found in Sam Toft's art pieces with this beachy rectangular cushion featuring everyone's favourite Brighton and Hove resident. 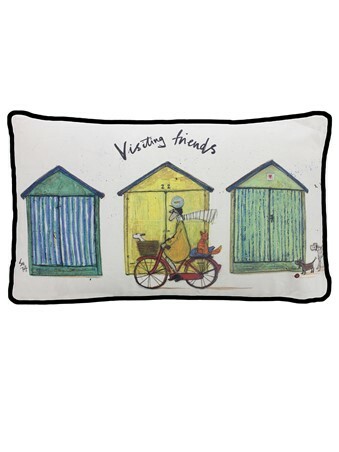 Always with a hint of fun and adventure, you can have everything Toft's art provides in a chic new format, perfect for placing on your sofa, bed, or in your beach hut! 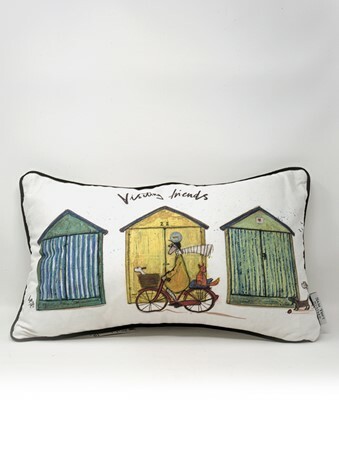 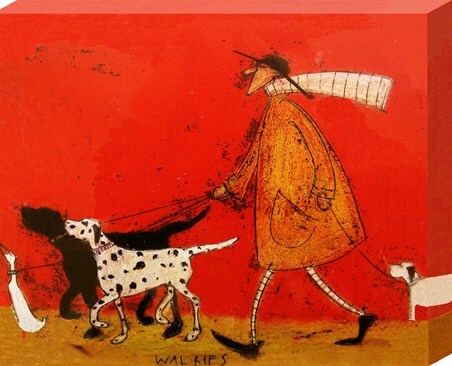 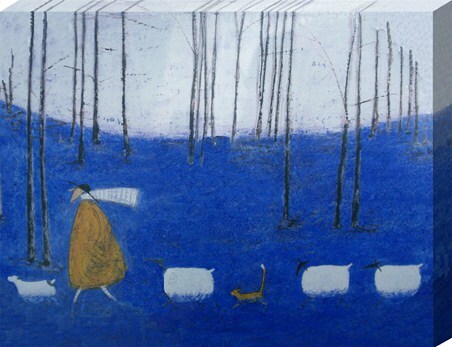 High quality, framed Visiting Friends, Sam Toft cushion with a bespoke frame by our custom framing service.